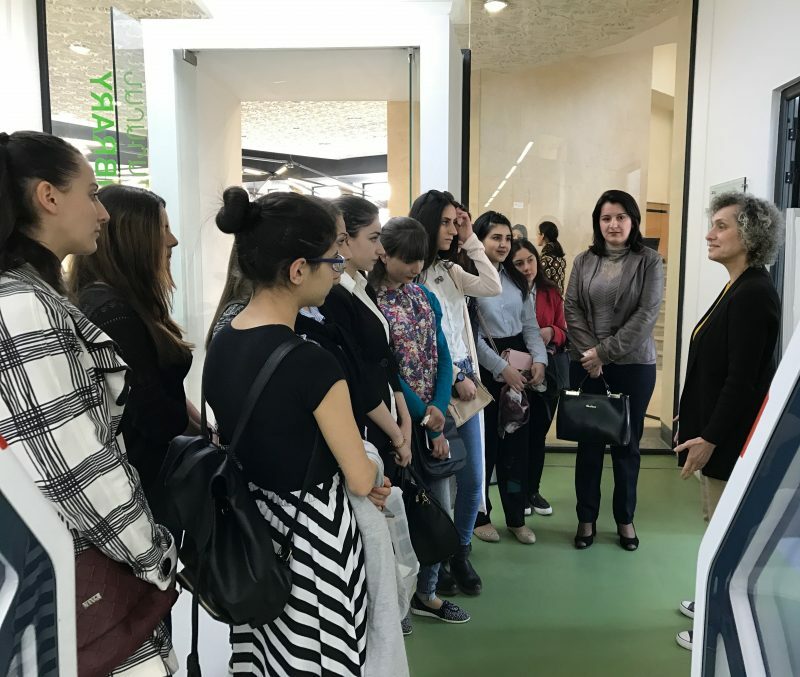 YEREVAN, Armenia – On April 11, the American University of Armenia’s (AUA) AGBU Papazian Library hosted a group of first year students and their professor Zaruhi Tonoyan from the Armenian State Pedagogical University’s Department of Museum, Library and Bibliography Studies after KH. Abovyan. Armine Melikyan, Learning Commons Desk Monitor, introduced students to the facilities and services of the recently opened Collaborative Study Space (CSS). Then Hasmik Galstyan, Head of Reference and Circulation Services, led the visitors on a tour of the library facilities, collections, electronic catalog, and more. The students also learned about interlibrary loan/document delivery services. Anahit Vardanyan, Papazian library Cataloguer, introduced AUA Digital Repository (DSpace), which contains image collections, student and faculty publications and theses, as well as archive materials. “This is another world! We are very impressed by the library’s modern facilities and innovative services, and would be thrilled to have an internship here”, the participants stated.